A new Nvidia program is geared toward helping gamers buy the right PCs and GPUs for VR gaming. Confused by what hardware you’ll need for VR? Nvidia says it has the answer with its new GTX VR Ready badge that will adorn video cards and gaming PCs that pass muster for virtual reality gaming. Nvidia says to run VR you’ll need a PC with two USB 3.0 ports, a Core i5-4590 CPU or greater, 8GB or more of RAM, HDMI 1.3, Windows 7 SP1 or higher, and a head-mounted display (of course). Not surprisingly, Nvidia is also pointing to its own graphics cards as VR requisites. The company says you’ll need a GeForce GTX 970 desktop card or a GeForce GTX 980 in a laptop to get the GTX VR Ready badge. 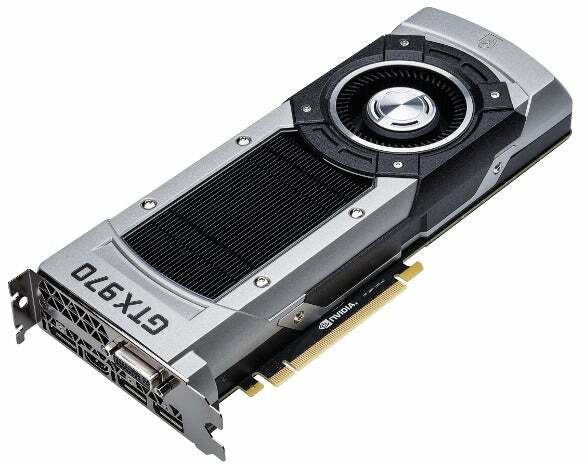 Nvidia says the GeForce GTX 970 is now good enough for VR. The last spec is interesting as Nvidia had previously recommended the pricier GeForce GTX 980 or GeForce GTX 980 ti for 90 FPS VR gaming at 1080p resolution. So it’s odd the company is now endorsing the lower-end GeForce GTX 970 for its GTX VR Ready program. It’s already well known that VR gaming has far steeper hardware requirements. After all, the GPU is supplying graphics for essentially two monitors at far higher refresh rates than a typical desktop gaming experience. As VR headgear increases in resolution—a must to eliminate the “screen door” effect—it’s difficult to see a GeForce GTX 970 keeping up. To be fair to Nvidia, even though it recommended faster parts in the past, the official Oculus Rift minimum specs recommend a GeForce GTX 970 or higher. And even though the GeForce GTX 980 laptop part is the equal of the desktop GeForce GTX 980, it’s a step down from the GeForce GTX 970m or GeForce GTX 980m. Nvidia’s program doesn’t mention arch-rival AMD, even though the Oculus specs say a Radeon 290 will do the job. The omission should make more cynical observers wonder if this is nothing more than a marketing program. Still, it didn’t stop hardware vendors from climbing aboard. “As trailblazers in gaming and graphics, Alienware and Nvidia are committed to providing great turnkey VR experiences. The program will guide customers to the products that will delight them. Maxwell-based GPUs are a great match for VR experiences, and cards like the GeForce GTX 970 help Alienware PCs set the industry standard,” said Frank Azor, Alienware’s general manager. MSI, Asus, HP and Falcon Northwest have also signed up as well as video card makers, EVGA, Zotac and a host of retailers.